WILLEMSTAD - Airbnb and the government of Curaçao will meet together to regulate the market for private rental apartments. In addition, the intention is that the tax for the rentals is also regulated. This was announced by the Curaçao Hospitality and Tourism Foundation (CHATA). The lobby club for the hotel sector saw a halt in the decline in room occupancy in October. Seven out of ten hotel rooms are currently occupied. 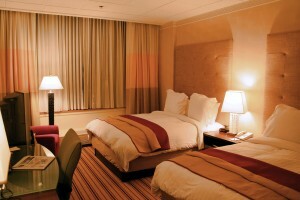 Average tariff for a room is at 138 dollars, which is 2 dollars more than last year. Yet 2016 remains a difficult year. Until the end of August, almost 120,000 fewer overnight stays were registered than in the same period last year. The hotel sector loses therefore about 10 million guilders.